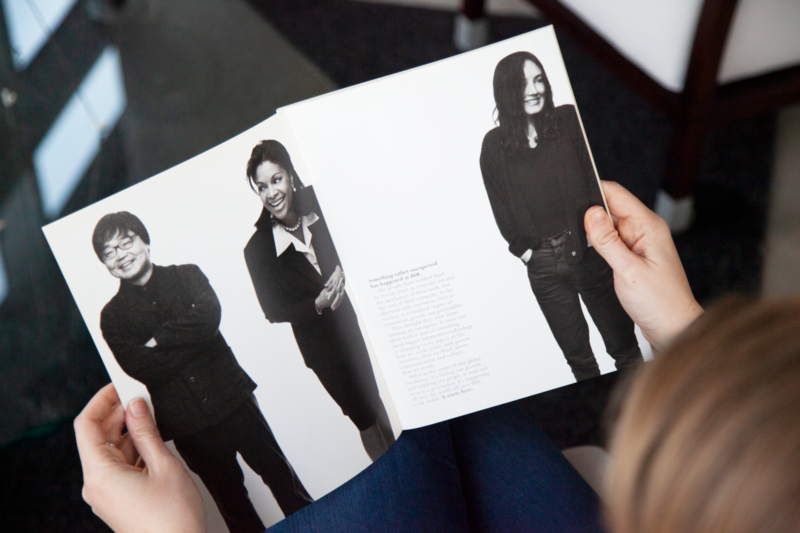 From sensing the future to making it happen. 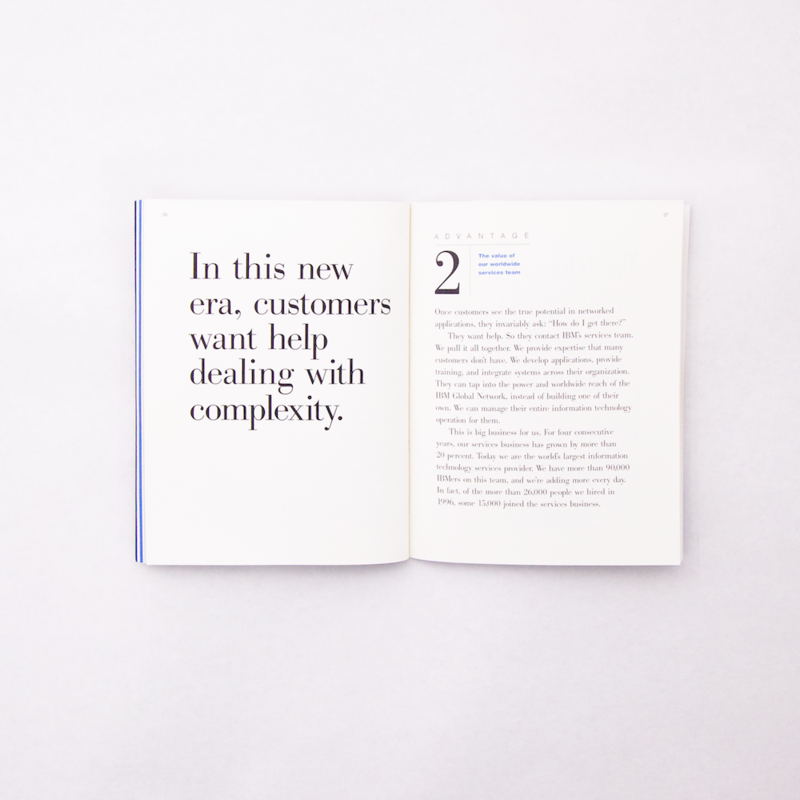 Unboundary's views were shaped by our early work with IBM and The Coca-Cola Company. 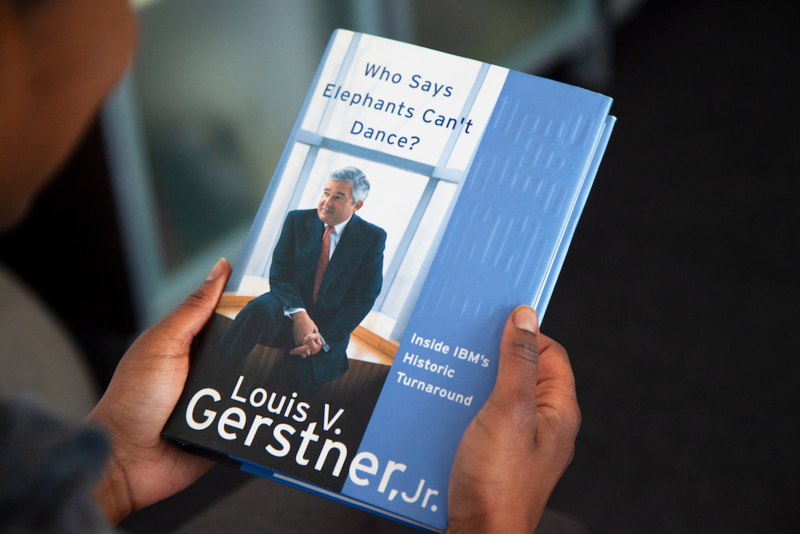 When Lou Gerstner took the helm of IBM, he and his team brought Unboundary along. For the next seven years, we were a part of what many still regard as the greatest corporate turnaround. Corporate turnarounds — and turnaround CEOs — are nearly a thing of the past. That's because there is little forgiveness now for falling behind. 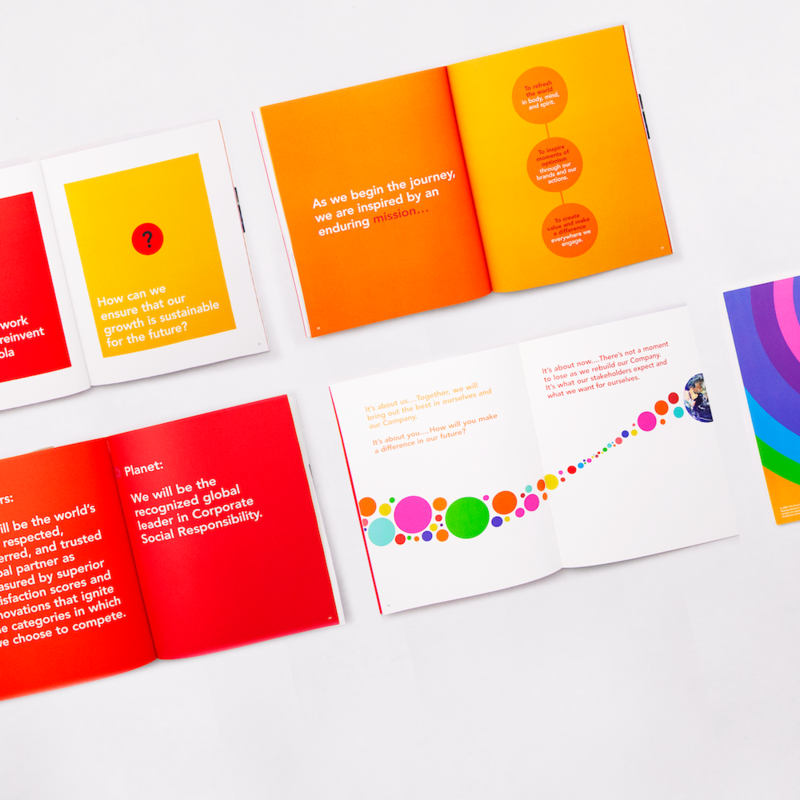 What our work with IBM taught us was the value of ensuring an organization's culture has aligned perspective on what the world and its customers need from it. 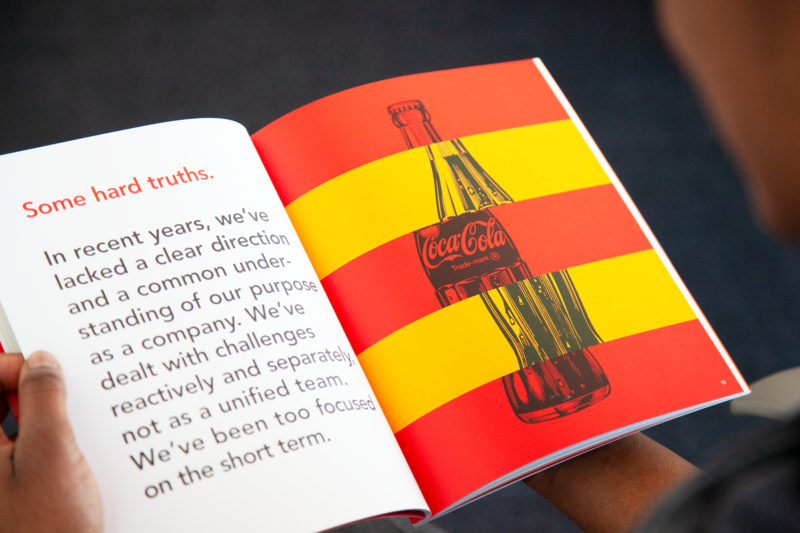 When CEO Neville Isdell gave 150 managers the job of reinventing The Coca-Cola Company, Unboundary helped the group explore, synthesize and communicate its plan. 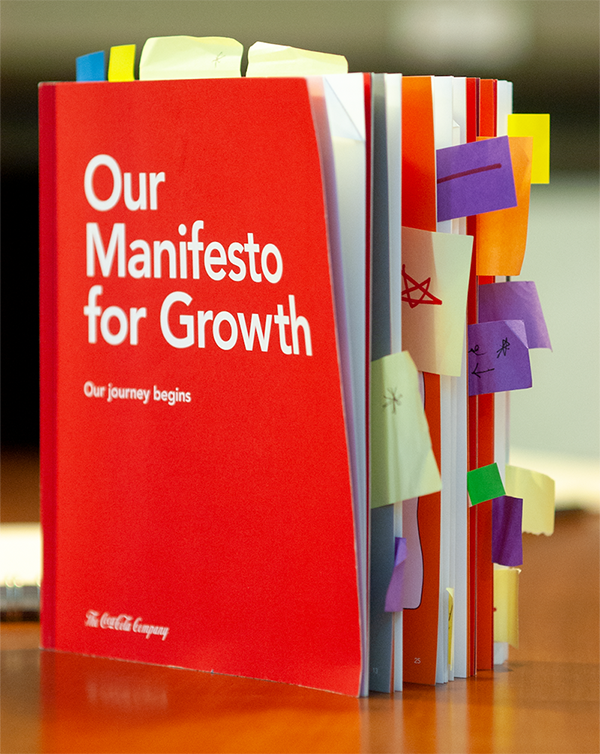 The result was Manifesto for Growth — a vision-and-values-to-metrics-and-processes transformation of The Coca-Cola Company. 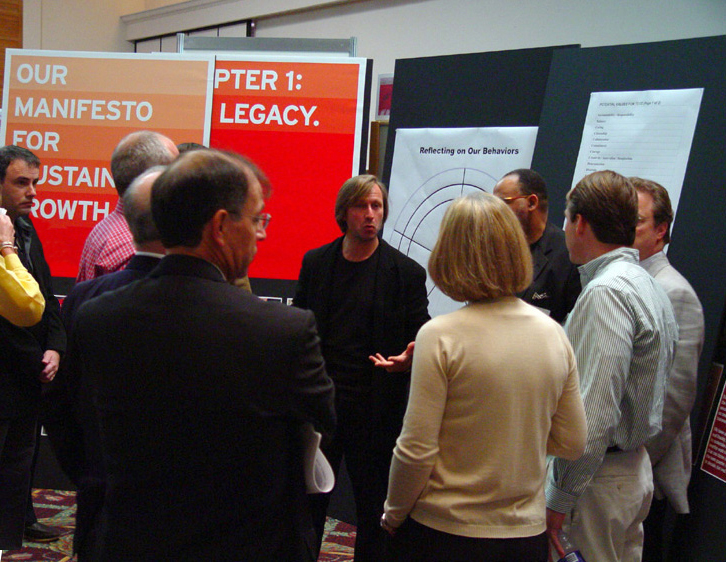 The power of Manifesto was Isdell's understanding that we don't solve our problems, our problems solve us. 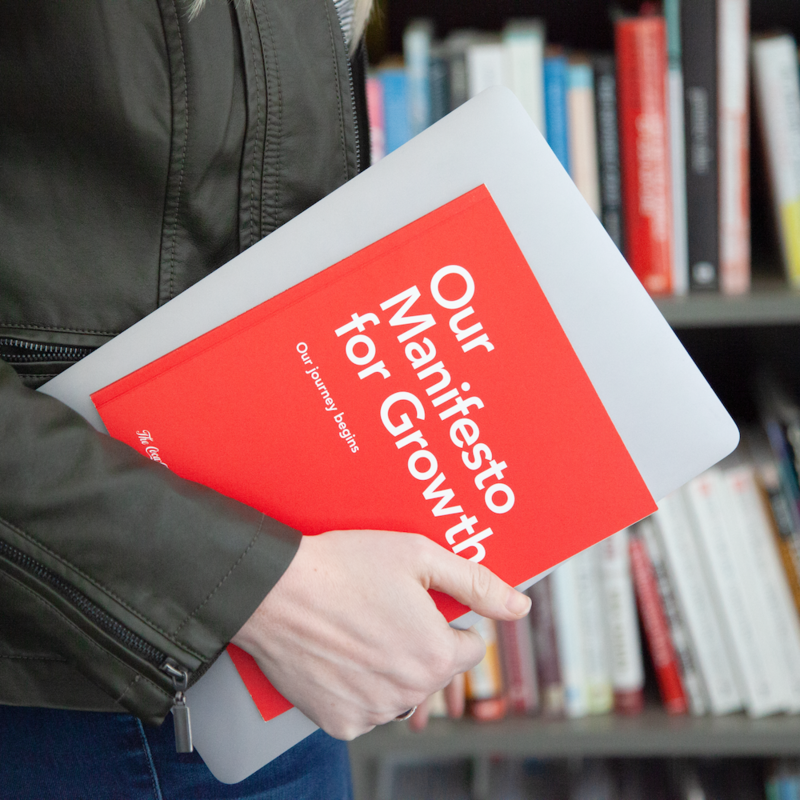 What our work on Manifesto taught us is that, when pressed, people know how to close the gap between who they are and who they intend to be — individually, and collectively.